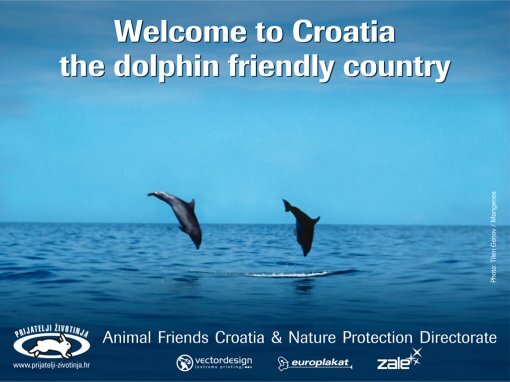 Referring to tourists who are visiting Croatia, Animal Friends organization wants to motivate the Nature Protection Directorate of the Ministry of Culture to issue a legal ban of dolphin captivation. By passing this new act, and with already established dolphin reservation at Mali Losinj, Croatia could become a dolphin friendly country. 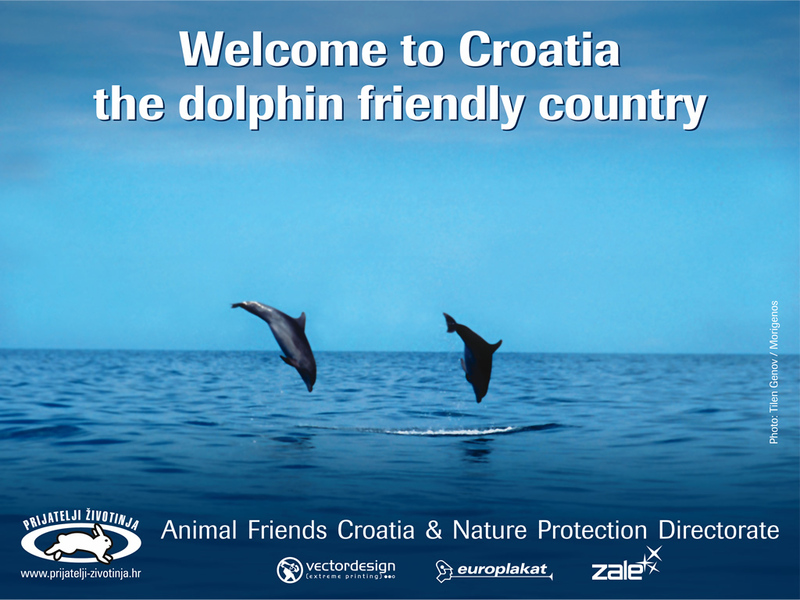 Near the town of Rijeka and Split, Animal Friends has placed billboards Welcome to Croatia – the Dolphin Friendly Country. Billboards, which will also be placed in Zagreb and Dubrovnik, will draw attention from rivers of tourists pouring into Croatia. Moreover, an attractive postcard is printed and shared by the organization at informative booths and in tourist centres so it can be available to domestic and foreign tourists. The sentence on the back of the postcard reads: The Nature Protection Directorate of the Ministry of Culture is planning to ban the capture and captivity of dolphins. By passing this new act, and with the dolphin reserve at Mali Losinj, Croatia would define its position as a "Dolphin Friendly Country." Considering this very year has been declared by United Nations as the Year of the Dolphin, and remembering a recent unsuccessful attempt of a dolphinarium construction near Vodnjan, Animal Friends hopes for prompt legal ban of capturing and captivation of dolphins and all other see mammals from the family of Cetacea in the territory of the Republic of Croatia, whereof the Nature Protection Directorate has given a positive reply still at the end of April. This year Croatia will host the international ACCOBAMS convention, which will take place at Dubrovnik in October. It would be very positive if Croatia, besides introduction of the reservation at Mali Losinj, also comes forward with the legal ban of dolphin captivation and with the title of the dolphin friendly country. By all means, it would not only raise Croatia's reputation but it would also give a shining example of care towards see mammals to other countries.